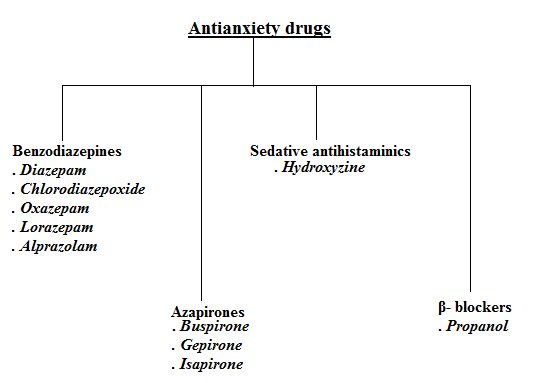 Antianxiety is an important class of drug for the preparation of GPAT. 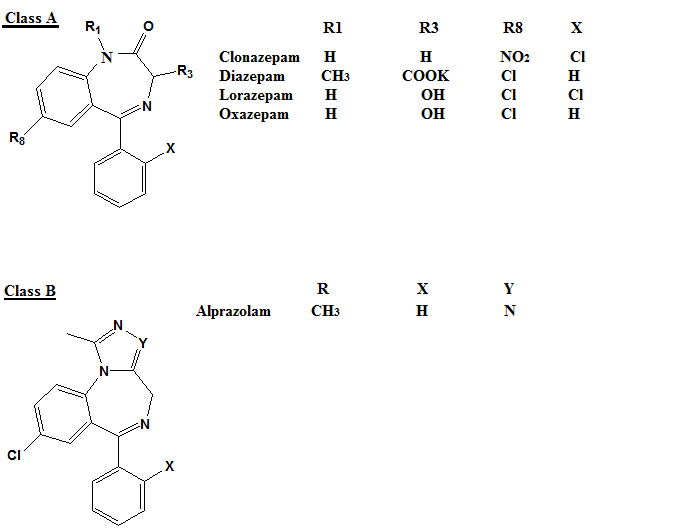 In this article you will complete pharmacology and chemistry of the drugs of this class including benzodiazepines. Ring A: Should be aromatic. Electronegative substitution at 7 increase activity. 6,8 or 9 substitution- decrease activity. 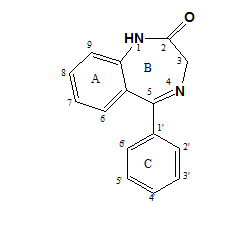 Ring B: Proton accepting group is the primary requirement to bind with GABAa receptor. Proton accepting group at 2 must for benzodiazepine. 3-OH/ 3-COOR has no effect increase excretion. N1 has no effect but sterically bulky substituent can decrease activity. C=N if changed to C-N decrease activity. Ring C: 5-phenyl ring is not required for binding but for the hydrophobicity. 4' substitution- Decrease activity ( Steric limitations). a) Buspirone: 5-HT1A autoreceptors agonists- Decrease the activity of serotonergic neurons. c) β- blockers: In the symptoms of anxiety linked with sympathetic over activity.